I can remember how excited I was making my first foray into web development like it was yesterday. Back in 2010, I learned the basics of building and hosting websites, and it was one of the strongest feelings of accomplishment I’ve ever felt. You know — the sense of accomplishment that can only come for a person who has created and crafted something that they can declare their own. While awesome, my newfound knowledge was followed by overconfidence and a sense of naivete. In hindsight, there was a lot of knowledge I was lacking and I should have slowed down and perfected my skills before marketing my services. Just because I knew how a part of the process works, it certainly didn’t mean I was the best implementer. Flash forward five years later, and what have I learned? Leave hosting to the experts. I’m a bargain shopper. I’m always doing my research, scouring the web for the best deals and prices, but the lowest price doesn’t always mean the best value. One thing that shared hosts share is that they’re affordable. Naturally, my first hosting solution was on a shared server, but this wasn’t just because they’re super cheap, promise unlimited storage, bandwidth, etc. It was because, starting off, premium solutions were out of my reach financially. Although this all sounds great, after a nightmare disaster in 2014, I haven’t touched shared hosting since. What started as a leisurely, casual work week took an ugly turn for the worse when none of my company’s websites would load. All of our sites were rolled back to a week before the crash, losing the company dozens of hours of labor. Along with this setback, I was fed up with the slow page-load times and the lackluster support. I couldn’t allow another catastrophe like this, so I migrated all of our websites to a dedicated hosting environment. Once I switched to dedicated hosting, I noticed websites had a huge improvement in speed and were practically never down, unless I broke them by accident, of course (just kidding). The migration took a while, but at the end of it all, it totally seemed worth it. But something just wasn’t right. Support treated me like a genius when it came to IT, which wasn’t a good thing, and it was like pulling teeth to get any relevant information out of them. Despite this, I still had high hopes. This new hosting solution was 3x more expensive than our old shared hosting plan after all. Nevertheless, I was let down. One horror story came when we made the mistake of hosting a client’s old and vulnerable website on this server. It was hacked, and shortly after other websites were compromised as well. The dedicated hosting company told me they could not help us with the breach and that my company had to fix everything ourselves. If we didn’t, our account, with everything on it, would be terminated. We sought out a team that specialized in cleaning up websites to fix the issues and remove malicious malware and viruses. They did a great job but could not help us with the root of the problem — the server. I was perplexed that such an expensive plan promising managed hosting and extensive support was so unhelpful. It was time to look for a solution that specialized in WordPress. 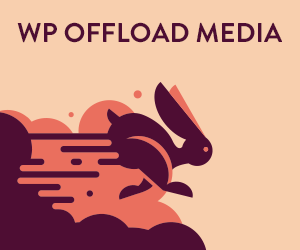 In early 2015 our websites were migrated to WP Engine, a managed WordPress hosting platform. WP Engine has been nothing short of impressive. Websites are super fast and have a complex caching system that doesn’t get in the way of development. Security is not an issue because they add an extra layer of protection to all of our WordPress installs that keeps out hackers and malicious attacks. All websites have daily backups that can be restored with one-click, which is a huge relief in the unfortunate event that anything goes wrong. The most helpful feature has been their responsive support team. They solved a number of issues both big and small, saving me countless hours of stress and in turn keeping me focused on my work and productivity. Their live chat hours mirror our business hours, and when I need to chat, I’m always talking to an expert. No more frustrating interactions where I have to tell under-trained support technicians how websites work. Managed WordPress hosting is definitely an expanding and improving service. For example, companies like GoDaddy and Bluehost are creating more promising packages to provide for this niche. The perfect solution for your needs is probably out there, you just need to do your research. Figure out the needs of the clients you are typically marketing to. Do they have 1,000s of visitors a month, or hundreds? Is their site extremely large or is it lightweight and easy to transfer? Assess these goals and compare managed hosting companies’ features. Also, looking into reviews is great, but make sure they’re from a credible source you can trust. Since it’s such an evolving market, it’s difficult to choose the “overall best” provider for managed WordPress hosting — but you can take comfort in knowing that any managed WordPress hosting plan is better than not having one at all. For me and my business, managed WordPress solutions do a good job of minimizing risk and are well worth the premium fees. GetPhound is now full speed ahead at this point, and the dark and dreary days of inferior web hosting are behind us!